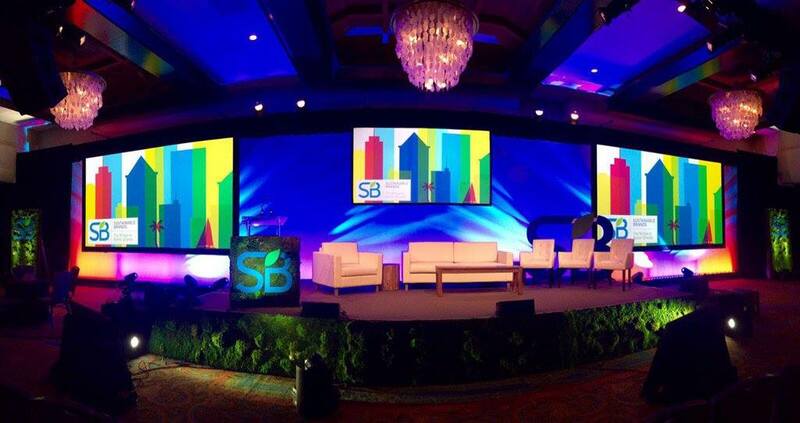 An international convergence of ecocentric minds have descended on San Diego June 6-9, for the Sustainable Brands 2016 yearly conference with this years’ theme being “Activating Purpose”. Attendees will attend various workshops, enjoy entertainment, and learn from leading minds in the sustainability community on incorporating purpose into their bottom line. Previous years’ conferences have focused on topics such as consumer centric sustainability, waste reduction and water conservation, community engagement and, of course, teaching business owners that sustainable practices can exist in tandem with profitability, once thought to be an impossible partnership. It has been 10 years since Sustainable Brands began their journey down the path of creating a better world by bringing together a global community of business innovators who had the moxie to see that sustainability could fit into their business models without compromising their bottom line. Since 2006, Sustainable Brand’s goal is to “inspire, engage and equip today’s business and brand leaders to prosper for the near and long term by leading the way to a sustainably abundant future.” They have accomplished this by way of their website, offering cutting edge sustainability news and information, live events, peer to peer learning groups, among other resources, to assist companies and social entrepreneurs discover innovative ways to incorporate sustainable value into their mission statements. Sustainable Brands has also partnered with Conscious Connection, the ultimate lifestyle magazine for cultural creatives, to bring their goal of inspiring, engaging and equipping today’s business and brand leaders and teaching sustainable lifestyle/business practices to a worldwide audience. This is the third year that Conscious Connection has attended this conference and we are excited to be learning more about this years’ theme of “activating purpose”. The 2016 conference is being held from June 6-9, 2016 at the eco-luxurious Paradise Point Island Resort, located just minutes from downtown San Diego, California. Conference attendees will work hard but will be able to relax amidst the resort’s lush tropical gardens and lagoons on this private island paradise. Amidst this tropical backdrop will be the largest gathering of global sustainability and brand professionals focusing their attention on understanding and leveraging the role of brands in shaping our future. Sustainable Brands have held these conferences since 2005, with the first being in New Orleans, post Katrina. Since that first small conference, a movement was born, a movement of changing the views of participating global companies that ecosystem sustainability can be added to a successful business model without eating into profitability. In the words of Mark Twain, “Why not go out on a limb—that’s where the fruit is” best synthesizes the purpose of the Sustainable Brands conferences as they shoot for helping companies, and individuals, rethink economic paradigms to change the rules of the economic game by taking chances and going out on that limb for the fruit. This years conference will continue the Sustainable Brands tradition of bringing together thought leaders, brand innovators, designers, and global business leaders in a single location to discuss topics relevant to creating more sustainable business and lifestyle practices. This conference will help large, “big box” companies and small businesses equally as the conference has been designed to benefit all who attend. Unable to attend? No worries, as CVS Health is sponsoring plenary sessions streaming live and on demand to watch at your convenience. Speakers will include corporate giant Unilever, REI, Ben and Jerry’s, Eileen Fisher plus many others. Who participates in Sustainable Brands conferences? This year, well known and diverse companies such as Unilever, L’Oréal, Toyota, Heineken USA, Clif Bar, JetBlue Air, and Walmart are just a few examples of major attendees and sponsors. Sustainable Brands events are founded on the belief that unleashing the best of our human ingenuity and innovation can change the shape of business, and with it, the world. Join us June 6-9, 2016, whether in person or online to help learn how sustainability is transforming the planet!